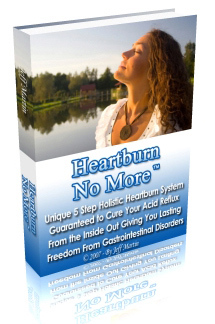 Is there a special GERD diet that can help acid reflux sufferers rid themselves of their troublesome symptoms? Recent researches support the assumption that acid reflux patients, especially those with moderate symptoms, can significantly improve their medical condition by comparatively simple dietary measures. Changing dietary patterns to treat acid reflux is strongly supported by both conventional and alternative medical approaches. The tight connection between diet and GERD management is derived from the gastric/digestive pathophysiology of this medical impairment. Generally speaking, GERD (gastro esophageal reflux disease), also known as acid reflux, is a malfunction of the digestive system. Gastro esophageal reflux disease occurs when the LES (lower esophageal sphincter) - a muscle that acts as a valve between the esophagus and the stomach - does not close properly and gastric acids from the stomach splash back, or reflux, into the esophagus. The symptoms of acid reflux vary from patient to patient. Most patients suffer from heartburn - the burning sensation in the chest and/or throat that occurs when refluxed stomach acid touches the lining of the esophagus. Some patients report other/ additional symptoms, such as trouble swallowing, chest pain, hoarseness, the feeling of food stuck in the throat and dry cough. When left untreated, acid reflux can cause serious health complications, namely ulcers, Barrett's esophagus and even cancer. For the reasons mentioned above, gastro esophageal reflux disease must be addressed comprehensively and in a timely manner. Dietary changes and weight loss are strongly recommended for GERD patients as a first step for tackling this condition (as part of a comprehensive holistic intervention). One of the main principles of anti-GERD diet is avoiding foods that weaken the LES's muscle. There are numerous natural physiological substances that can reduce the pressure on the LES, namely dopamine, prostaglandins and acetylcholine. Foods that contain those substances or contribute to their creation in the human body (i. e. fatty foods, peppermint, spearmint and chocolate) should therefore be removed from an acid reflux diet. Smoking, caffeine-laden drinks or alcohol can also decrease the pressure on the LES and therefore should also be limited in consumption. Another important principle of acid reflux dietary management is consuming your last daily meal at least three hours before bedtime, since food (especially diary products), stimulates acid secretion. In addition, elevating the head's position in the bed 6-8 inches higher can diminish the exposure of acid to the esophagus. Finally, spicy meals have the tendency to irritate the esophageal mucosa. Many acid reflux patients state that their symptoms tend to worsen when they eat spicy foods or drink coffee on a regular basis. While GERD diet can be effective at achieving an immediate relief, note that changing dietary patterns is not a cure per se, especially in severe cases acid reflux . This is only a first important step of complete and comprehensive all natural holistic approach. Did you know that your troublesome, painful symptoms of gastro esophageal reflux disease could be permanently eliminated without conventional medicine or common over the counters? Adhering to the holistic approach (by taking specific herbal and vitamin supplements while following a complete set of dietary principals, detoxification and Candida control protocols) can cure your GERD naturally and prevent its recurrence, safely and effectively. Can I Eat Chili with GERD?